​Newcastle United have yet to follow up on their failed December bid for Atalanta United's Miguel Almiron, as frustrations grow on Tyneside in what appears to be yet another quiet transfer window. The Paraguayan was Rafael Benitez's top target this window but with no new bid submitted since last year, it appears the Magpies will turn their attentions elsewhere, leaving Benitez irritated. This is despite ​Newcastle head of recruitment Steve Nickson flying out to America to speak with the player's agent. ​The Chronicle report that the player is demanding £100k in weekly wages while his club Atalanta United are holding out for a £25m transfer fee. 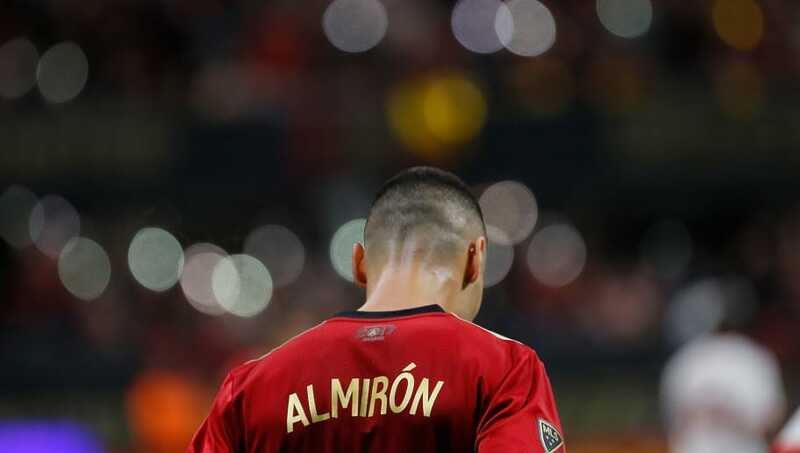 Almiron's agent Daniel Campos recently told Paraguayan radio, as quoted by ​The Guardian, that Newcastle aren't the only interested party in his client's services. “There are two to three clubs in England that have interest in him, but we haven’t advanced a lot yet,” Campos said. “If Newcastle raise their offers, they could be one of the clubs, but there are other clubs. Almiron's agent is set to fly out to Europe to speed up any potential deal with suitors on the continent, but it seems increasingly unlikely that Newcastle will be his destination, as Benitez faces another uncertain transfer window, with funds scarce. Club owner Mike Ashley was present at Stamford Bridge for Newcastle's narrow ​2-1 defeat to ​Chelsea last Saturday, yet opted against discussing anything with the Spaniard, meaning the pair haven't conversed since meeting for dinner back in October.